Exclusive–Sen. 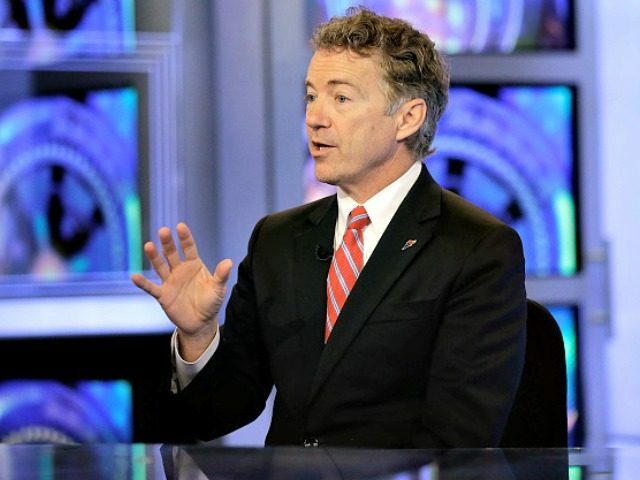 Rand Paul: Would an Originalist Unilaterally Bomb Syria? Today, I cast the 51st vote to confirm Justice Neil Gorsuch to the Supreme Court. It is a vote I am proud of, and I hope to remain proud of for decades to come. While many Republicans fawned over this quality, they displayed remarkable cognitive dissonance when it came to applying it to a very public event the very day they approved the Gorsuch nomination. You see, too many of my colleagues have forgotten what it means to be an “Originalist” on the matter of going to war. Our Founding Fathers found this to be one of the most important discussions at the time, and they were quite concerned about giving the power to declare war to the President. They were concerned an executive with that kind of power could choose to rule like a King. Before sending our young men and women into battle, we should have a thoughtful and honest discussion about the ramifications, authorization, and motivations for war. That could be done if we were all Originalists; not just for the court, but for our legislative duties as well. Article I, Section 8, Clause 11 of the Constitution grants the Congress and Congress alone the power to declare war. The President is given the power to direct the military only after the Congressional declaration has been passed. This is our law and was generally our practice. However, like in many areas, we began to abandon our founding principles for expediency. We have not declared a war since World War II and we have too often used our military without even a more modest Authorization for the Use of Military Force. This is dangerous. As Madison wrote, the Constitution supposes what history demonstrates, that the executive is the branch most interested in war and most prone to it. The Constitution therefore, with studied care, vested that power in the legislature. I salute the nomination and confirmation of Justice Gorsuch and his Originalist views. I salute and applaud my colleagues for their work to get him to the bench, and for the words they used attributing their vote to his views on the Constitution. But I can’t say I don’t find it ironic that on the very day they did these things, they also turned a mostly blind eye to an illegal and unconstitutional military strike. I will hold politicians of both parties and both branches accountable. I ran for office to protect our Rights and swore an oath to uphold the Constitution to the best of my ability. That means defending the Constitutionally granted power to declare war as one belonging to Congress, just as our Founding Fathers intended.